Oprah has been in the news over the past couple of weeks over allegations of sexual misconduct and physical abuse in her much-touted African school for girls. One girl reportedly ran away because the abuse was so bad. When Oprah learned of these allegations, she reportedly rushed off to Africa, not once but twice. She is cooperating fully with local authorities, and she tearfully spoke with the parents of her students. As many are aware, Oprah herself was a victim of childhood sexual abuse. My Comments: Before I present my thoughts on this issue, I must first say that Oprah is one of my heroes. She has done more for victims of abuse than any single person on the planet. I have the utmost respect for what she is doing for the girls—her "sisters," she calls them—in her African school. 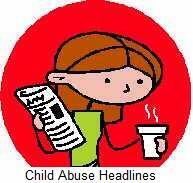 Having said that, news reports are all I can reply upon for what is being done to deal with these abuse allegations. I understand there is a police investigation being conducted, and that Oprah has publicly apologized to the parents of her students for "failing" them. She has suspended the teachers who are accused of abuse, and has launched her own investigation into the allegations. What more can she do? Two words: risk assessment, which should have been done long before the school opened its doors. Oprah has already taken the first necessary step after allegations of abuse; she has acknowledged the problem and has pledged to get to the bottom of it. But in order to get to the bottom of it, her pledge must include a risk assessment for her school. Then what must follow is risk management, the process of addressing the risks that were revealed in the assessment phase. Only then will Oprah's impeccable reputation as a champion for abuse victims and the underprivileged girls in Africa be restored.